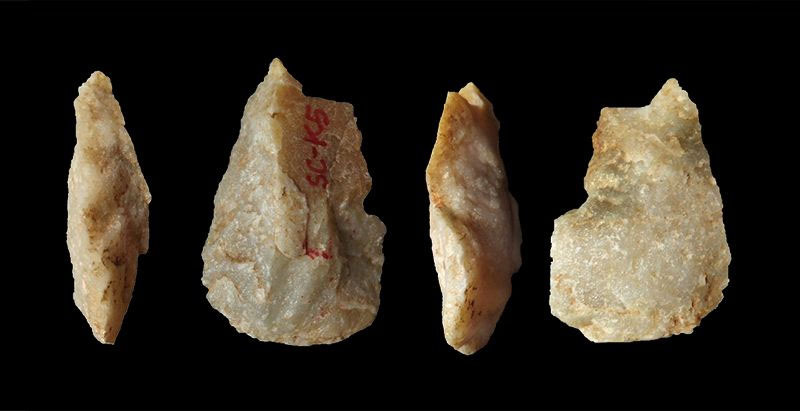 In May 2010 EPN commented on a new find from the famous fossil-rich caves of north-eastern South Africa; a new hominin species called Australopithecus sediba. At least one of them fell into a deathtrap shaft, died and remained unchewed without bones being spread far and wide. Inevitably, near-complete skeletons of individual hominins are soon pored over by dozens of specialists in human evolution, as they were for the much older Ardepithecus ramidus found in sediments of Ethiopia’s Afar Depression (see Early hominin takes over Science magazine in the November 2009 issue of EPN). Now there are two near-complete, well-preserved skeletons of Au. sediba and the palaeoanthropological world is agog. Dating to about 1.98 Ma the specimens represent the same time as do far less impressive remains of H habilis from Tanzania that were found with associated rudimentary stone tools. The first hint (just a fragment of upper jaw) of any remains that might be tagged ‘Homo’ dates to 2.3 Ma and is from Ethiopia, as are the first undoubted stone tools going back as far as 2.5 Ma, though lacking association with a maker. Five consecutive papers on Au. Sediba occupy 22 pages in the 9 September 2011 issue of Science and make for startling reading. The first concerns the shape of its brain case, and therefore crudely its brain, discerned by tomographic X-ray scanning (Carlson, K.J. et al. 2011. The endocast of MH1, Australopithecus sediba. Science, v. 333, p. 1402-1407). It isn’t any bigger than that of other members of the genus but shows ‘some foreshadowing of the human frontal lobes’ and other shifts from the basic ape model that the authors imply are en route to human features. The next considers the two pelvis regions (Kibii, J.M. et al. 2011. A partial pelvis of Australopithecus sediba. Science, v. 333, p. 1407-1411); again australopithecine-like in the small size of the birth canal but with a hint of the S-shape of humans. Most astonishingly well-preserved are the fragile bones of a complete hand (Kivell, T.L. et al. 2011. Australopithecus sediba hand demonstrates mosaic evolution of locomotor and manipulative abilities. Science, v. 333, p. 1411-1417), which convincingly shows the long thumb and short fingers (for a primate) that characterise Homo and are essential for a precision grip and making things. Actually, the thumb is longer relative to fingers (60%) than in humans (54%), but Lucy’s (Au. afarensis) was a closer match. No tools that such a hand might have created and wielded were found with the fossils. Then there is the foot (Zipfel, B. et al. 2011. The foot and ankle of Australopithecus sediba. Science, v. 333, p. 1417-1420), which, again, mixes human and australopithecine features, giving ‘a unique form of bipedality and some degree of arboreality’. The fifth paper (Pickering, R. et al. 2011. 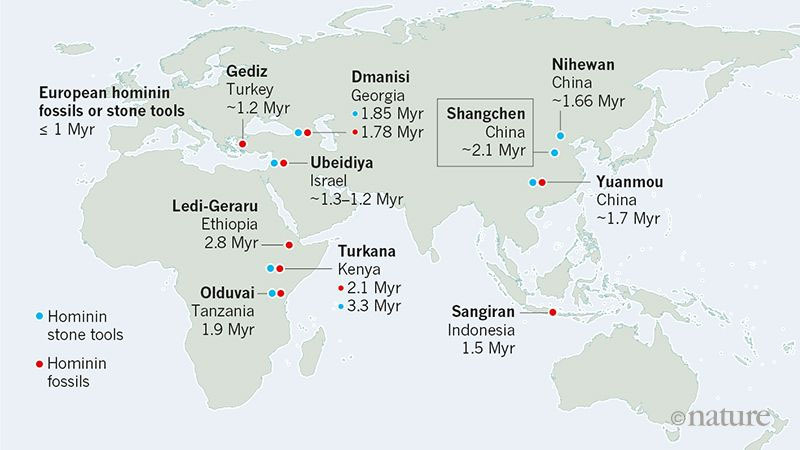 Australopithecus sediba at 1.977 Ma and implications for the origins of the genus Homo. Science, v. 333, p. 1417-1420) is as remarkable for the precision of U-Pb dating of speleothem (cave carbonates), which at 1.977+0.002 Ma far exceeds the workhorse Ar-Ar method used for most other hominins, as it is for the absolute age that precedes that of undisputed remains of humans.